Home / Flash-CW / podcast / SpiderMan / "The Geek Twins Podcast, Episode 1"
We've been working really hard behind-the-scenes, and the moment has finally arrived. 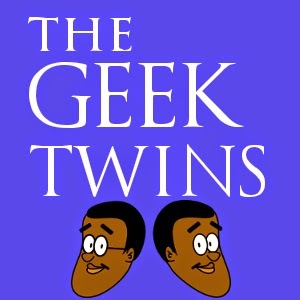 The Geek Twins Podcast is now live! We've actually been working on this for months, and even recorded a few podcasts that you'll probably never hear, but we thought this one was finally ready for airing. It's a little rough, and we plan to improve the quality and content down the road as we learn more about this whole podcasting thing, but figured it was time to pull the trigger. In this first episode, we'll be discussing Spiderman in the Marvel Cinematic Universe, and the announcement of Spaceballs 2. We also review the 2007 movie Sunshine, and the latest episodes of The Flash TV show. And we end by playing a game of "Would You Rather." We're hosting this episode on Soundcloud, but stay tuned for releases on other channels soon. Now it's your turn. What did you think of the podcast? What do you think of Spiderman in the MCU and Spaceballs 2? Do you have any questions we can answer in a future podcast? And what would be your choices in "Would You Rather?" Haven't seen Sunshine, I'll have to check it out. I agree with Maurice on all the "Would You Rather?" I want to live man! Was this the big announcement you guys promised months ago? Either way, congrats on the evolution of the Geek Twins experience! Great work on the podcast - look forward to the next one. And cool theme music too. I have to say I loved Spaceballs all those years ago when I saw it, although it's probably a little dated now. If they make a sequel I would certainly give it a chance. I would rather kiss a wookie, light saber and anything in my head... neither. SpaceBalls II... I am in. Sounds like it will be them older to fit another cast of young people... well that is the way I would go. That way they could have tributes to the fallen "Mawg"... and Joan Rivers robot, by having offspring to both. Cool news about Spiderman! You guys sound just like I thought you would. I would kiss the Wookie over Jabba, but prefer neither. Would you rather have Firefly or Farscape come back for another season? It's great hearing your voices. I have this playing in another tab. I’m not sure Clarissa! While Firefly was just coming into its own, Farscape kind of ran on too long. On the other hand Farscape was far more inventive. I’ll go with Farscape.